Heber Clark Christensen, 69, and Kathleen Felt Christensen, five children, Bloomington 3rd Ward, Bloomington Utah Stake: Cove Fort (Utah) Historic Site. 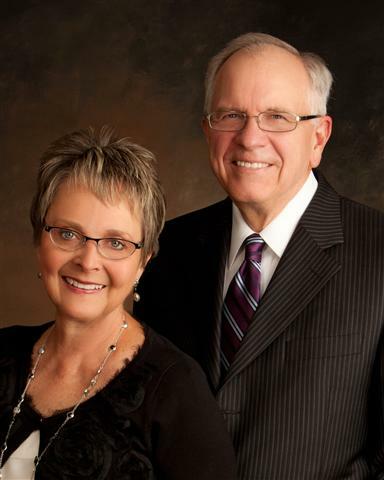 Brother Christensen serves as a high councilor and is a former counselor in a stake presidency, bishop, missionary in Historic Kirtland Ohio, gospel doctrine teacher and missionary in the Texas Mission. Retired retail business owner. Born in Richfield, Utah, to Alten and Alta Christensen Sister Christensen, a gospel doctrine teacher, served with her husband in Historic Kirtland Ohio. She is a former counselor in stake Relief Society and Young Women presidencies, ward Young Women president and counselor in ward Relief Society and Young Wom­en presidencies. Born in Ogden, Utah, to Joseph Gordon and Helen Felt.